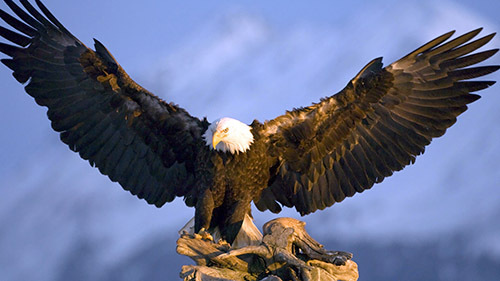 WASHINGTON – Since New Years Eve millions of viewers have tuned into the DC Eagle Cam (dceaglecam.org) to watch two live‑streaming, high-definition cameras featuring the wild nest of Bald Eagles Mr. President & The First Lady. For the past month, these parents have been faithfully incubating two eggs in their nest at the top of a Tulip Poplar tree in the U.S. National Arboretum, right inside the Nation’s Capitol. Their devoted attention and dedicated efforts finally began to pay off this morning, as one of the soon-to-be-eaglets has now begun the hatching process! American Eagle Foundation (AEF) volunteer camera operators first witnessed this first small crack on the egg around 10:15 am EDT, March 28. As of now, this crack appears to be less than the size of a dime. It could take anywhere from 12‑48 hours for an eaglet to fully emerge, or hatch, from its shell. This first egg was laid on February 19. 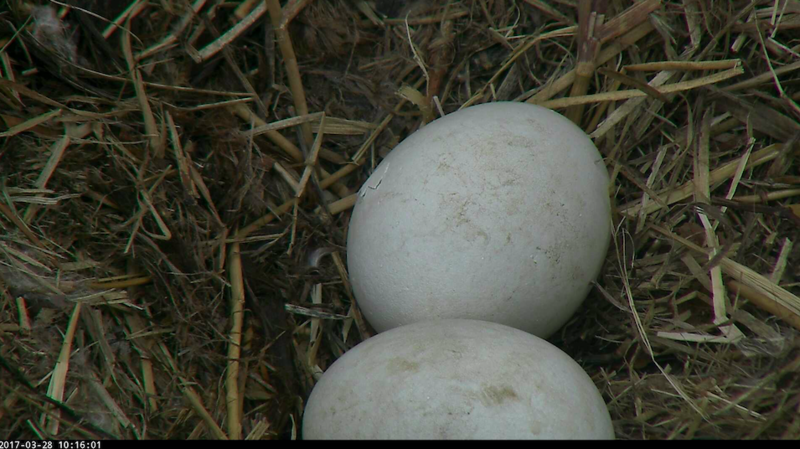 The second was laid on February 23 and cam viewers are hopeful that it will also begin to hatch in a few days. The average incubation period for an eagle egg is 35 days. In several weeks, the general public will have the opportunity to help come up with official names for these eaglets. In 2015, the American Eagle Foundation (AEF) staff traveled to D.C. to install state-of-the-art cameras, infrared lighting, and other related equipment in-and-around the nest tree with the help of volunteers and experienced tree arborists and climbers. This past year, the AEF added microphones near the nest to further enhance the viewing experience, and a team of arborists and eagle experts affixed natural tree limbs beneath the nest to provide added support. The USDA’s U.S. National Arboretum ran a half-mile of fiber optic cable to the cameras’ ground control station, which connects the cameras and microphones to the Internet. The entire system is powered by a large mobile solar array (containing several deep cycle batteries) that was designed and built by students and staff from Alfred State College, SUNY College of Technology and was partially funded by the Department of Energy and Environment. USNA has implemented a backup generator that will kick-on if prolonged inclement weather causes the solar array to provide insufficient power to the system. In 2016, APEX Electric Inc. (Kenmore, Washington) traveled to D.C. to assist the AEF in successfully installing audio equipment in and around the tree. The AEF uses Piksel to stream the video images to viewers around the world, and AEF volunteers are trained and coordinated to pan, tilt and zoom the cams, as well as educate the public via LIVE chats while viewers watch the eagles via the cams on the Internet. We’re On Hatch-Watch! DC4 Has Hatched! Welcome to the World!